Sep 25 2018 - The Right to Information Forum (RTI Forum) has expressed deep concerns over the passage of the Digital Security Act 2018 by the Parliament as some of its provisions have been given undue precedence over those of the Right to Information Act 2009. The forum believes that The Digital Security Act, in its present form, will grossly restrict the scope of people’s access to information under the RTI Act which has been widely held as one of the best opportunities created by the government in empowering people to promote transparency and accountability. In a statement yesterday, the RTI Forum observed that some provisions of the Official Secrets Act 1921 have been included in the Digital Security Act 2018 which directly undermines Section 3 of the RTI Act. Section 3 stipulates that the RTI Act will prevail over any Act that may create obstacles in providing information or is conflicting with provisions of the RTI law. The Digital Security Act not only contradicts parts of the RTI Act, but also raises questions about the government’s capacity to be consistent in law-making, the forum observed. It also lamented that the Digital Security Act creates wide opportunities to restrict the space for raising informed public opinions and ensuring transparency and accountability of public institutions, reducing corruption, and establishing good governance as outlined in the preamble of the RTI Act 2009. 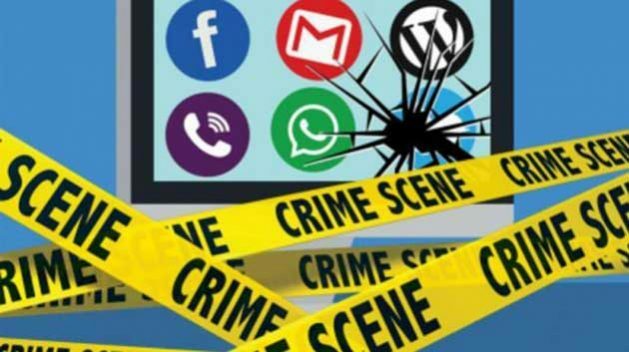 The forum further observed that the Digital Security Act is clearly inconsistent with the fundamental constitutional rights to freedom of speech and expression as per Article 39 of the Constitution and, therefore, undermines democracy and human rights, which are among the fundamental principles of state policy. Bangladesh’s commitment under Sustainable Development Goal 16.10, that obliges the government to promote free flow of information, will also become nationally and internationally questionable, the forum further added. The RTI Forum, a coalition of more than 45 organisations, played a pivotal role in the enactment of the right to information law in 2009 and has been supporting the government its implementation and promotion since then. Meanwhile, journalist’s organisation Dhaka Reporters Unity (DRU) yesterday expressed grave concerns over the Digital Security Act 2018 as well, saying that some harsh and objectionable provisions in the law would create obstructions in the way of independent journalism. They also criticised the government for passing the law, while ignoring the concerns and recommendations of journalists. The organisation urged the government to review the law with the light of the journalists’ recommendations and revoke the objectionable provisions from the law. In a statement, DRU president Saiful Islam and its joint secretary Moin Uddin Khan said that journalists had been expressing concerns over some provisions ever since the draft was approved in the cabinet meeting. Journalist leaders demanded to scrap the much-debated provisions from the law after meeting with the ministers concerned and also sent their recommendations to parliamentary standing committee. “The government also assured the journalists that there would be no such harsh provisions. But the bill was passed in the parliament ignoring the concerns and recommendations of journalists,” the statement added. The DRU observed that the existence of the RTI Act beside Official Secrets Act is conflicting and enabling the police to exercise unfettered power — to search, seize and arrest anyone without a warrant – may create the risk of harassment for journalists. “Such provisions are against basic human rights and democracy,” the statement added. In the meantime, rights body Human Rights Support Society (HRSS) expressed solidarity with the human chain programme called by the Sampadak Parishad (Editors’ Council) that will be formed in front of Jatiya Press Club on September 29. The organisation requested President Abdul Hamid not to approve the law and urged him to return it for a review.